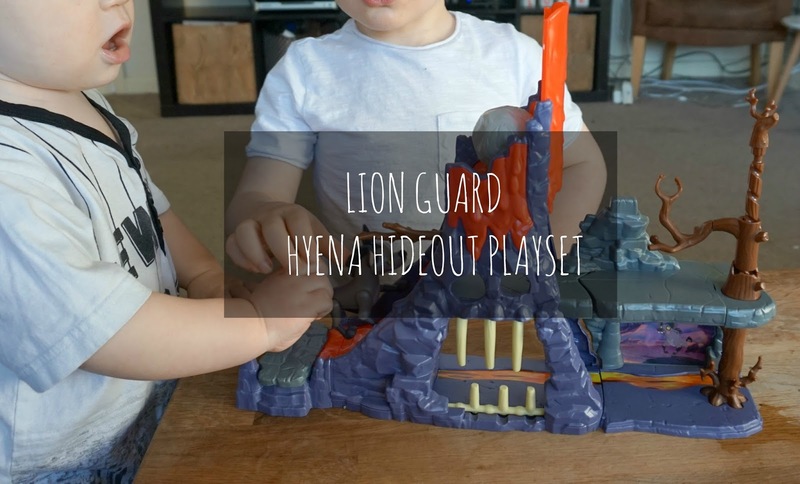 Hello lovelies, so today I have for you a little toy review on the Disney Junior Lion guard programme Hyena's Hideout playset. The boys have been loving the Lion Guard on Disney junior, its lovely to watch with them as well actually as I was always a big fan of the Lion King so it's nice to re live my youth but with a more inventive way and new characters. Kion being Oscars favourite, Oscar was very happy to see this placed on the living room coffee table when he came back from school the other day, he quickly went up to his room to get all of his characters and got into action as you will see in my little youtube video below. I love the fact its quite a small playset as it makes it easy to put into a bag to take to the grandmas or friends house but it has so many features that it will keep the kids entertained for hours. It's just the right size for both of them, they recommend over the age of 3 because of the small parts but Lawson wanted to get involved, he loved playing with the Hyena and putting the characters down the lava slide. Oscars favourite feature was the button that made the characters fall of the ledge and of-course the boulder drop! It is very easy to use and lots of features, the bone jaw jail has great detail to it a long with everything else, I loved the branch that spun the characters around. I had lots of fun playing with the boys and Oscar has a great imagination so its fun just watching him play and the stories he comes up with as he is playing with the playset. 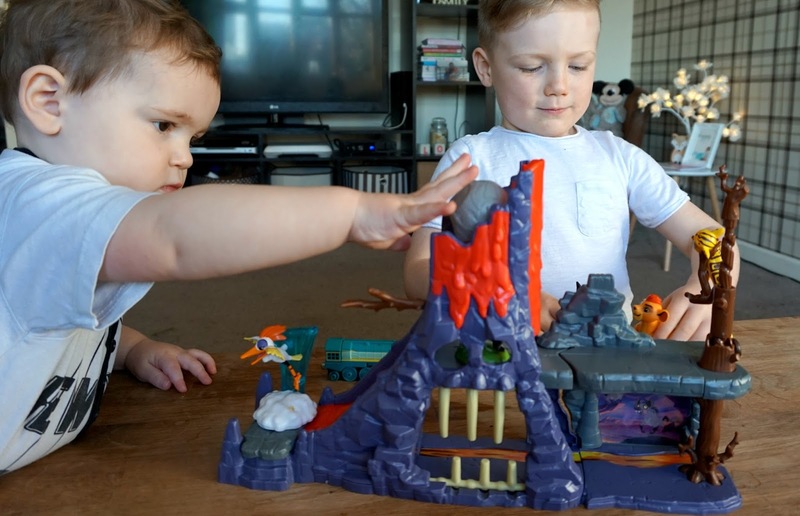 I'm thinking of investing in the other play sets they have to offer as the boys really do enjoy playing with them, they are really into playing with figurines at the minute and it's great to have a platform to use them with. 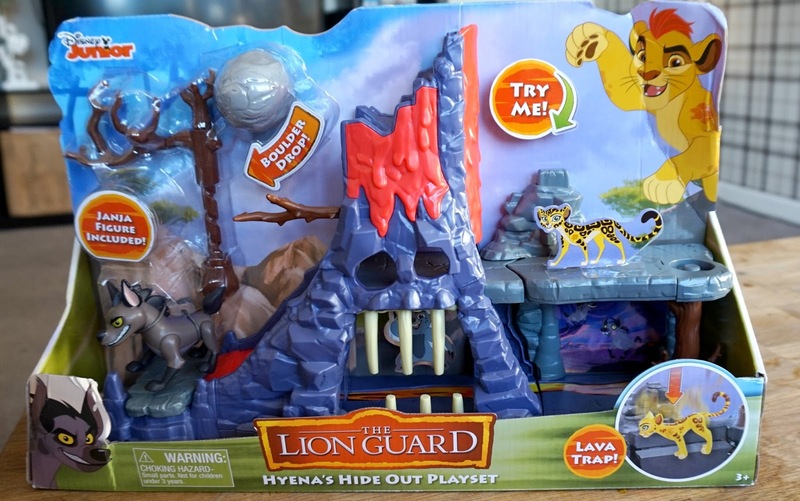 Are your children a fan of Lion guard? Check out their mini figures here.